TRAINING: The CAS event training is free to all available youth. have to show your training card at the event to participate. PRE-SHOOT: The CAS Pre-shoot/Service Project sessions are available to allow participants shooting practice for two CAS timed event stages and will allow them to complete one hour of service at the range. 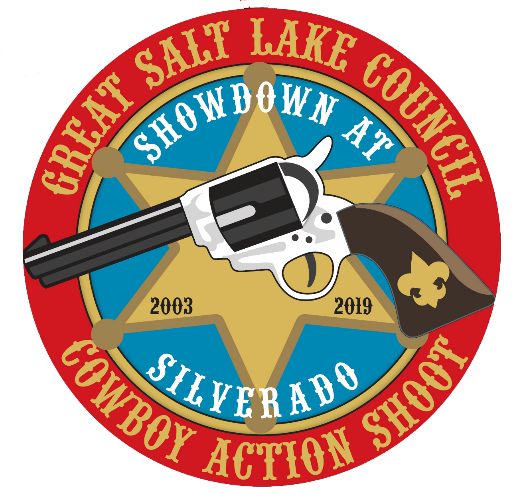 EVENT FEES INCLUDE: Event registration, Friday night western entertainment program, award recognition for best outfit and alias story, ammunition, use of firearms, and the best Older Scout western shooting experience. There is an extra charge for pre-shoot and western style chuck-wagon breakfast. Youth Training Sessions times (6 sessions) ensure adult comes with youth. to all youth and adults of scouting. It is part of registration process or pre-sales order form below. tradition to wear it at the event.